Say good-bye to the home button? The wait for the next iPhone is almost over. According to the Wall Street Journal, Apple (AAPL - Get Report) has scheduled a product announcement event for Sept. 12 at which the tech giant is widely expected to launch the iPhone 8 with a host of new features. It's now been ten years since Steve Jobs unveiled Apple's first iPhone at the MacWorld keynote in 2007, proclaiming it was an "iPod, mobile phone and internet communications device" all rolled into one. All eyes are now focused on whether the iPhone 8 will pack show-stopping features reminiscent of those in the original iPhone that disrupted the tech market a decade ago. A lot has changed since Apple's inaugural iPhone release, however. For years, the iPhone drove Apple's astronomical sales growth (including a record-setting $18 billion profit in its 2015 first quarter). More recently, the company posted its first annual sales decline since 2003 in the second quarter of 2016, in large part because of slowing iPhone sales. Analysts have attributed the decline to an increasingly saturated smartphone market, as Apple is forced to compete against devices from Samsung (SSNLF and Alphabet's (GOOGL - Get Report) Google unit, among others. Additionally, fewer iPhone users upgraded to the iPhone 7 from the iPhone 6, Cook said, and the company has also seen a noteworthy decrease in sales in Greater China. Ever since the iPhone 7's release in September last year, rumors have swirled that the iPhone 8 will be markedly different from its predecessor in size, look and functionality. According to a March report from MacRumors that cited a Japanese website, the iPhone 8 could be named the "iPhone Edition," taking a page from the Apple Watch Edition, as a way to establish it as a higher end version of the iPhone. In perhaps the most widely speculated rumor, the iPhone 8 is predicted to have a larger screen with curved edges and an organic LED (OLED) display. Apple is expected to release three phones this fall, including an updated iPhone 7 and 7 Plus that will remain 4.7 inches and 5.5 inches, respectively, as well as a fully redesigned iPhone 8 that will feature a display slightly bigger than the iPhone 7 Plus but an overall size similar to the iPhone 7. Apple might also include a "tap to wake" feature on the iPhone that lets users double tap the screen to turn it on, according to Bloomberg. The feature would be similar to the Windows Phone function. The OLED screens improve a battery's life while enhancing display quality, creating deeper blacks and more vibrant colors. Samsung is rumored to be supplying the OLED screens to Apple, the Wall Street Journal reported, citing sources with knowledge of the matter. OLED technology also allows manufacturers to bend screens in ways that they aren't capable of doing with traditional liquid crystal display (LCD) technology, the Journal noted. This wouldn't allow a user to bend or fold the screen, but would allow Apple to update the look of its phones. Samsung may face some supply constraints that limit the OLED screen upgrade to just the iPhone 8 Plus model, Barclays analyst Blayne Curtis said in a recent note. "Only the Plus will move to OLED but there is not enough capacity at Samsung for both models," Curtis explained. "Sharp/Hon Hai OLED production is expected to come online in 2018 and solve this problem (some doubt how fast this can occur)." The iPhone 8 is also expected to depart from its usual aluminum and glass designs by using a curved, plastic panel that creates a clean edge-to-edge, design. The body or back of the iPhone 8 is predicted to be glass, similar to what was used for the iPhone 4. Bloomberg reported that the new iPhone will have a stainless steel band around the device, in which the glass fits into, similar to the design used in the iPhone 4/4S. Apple is a holding in Jim Cramer's Action Alerts PLUS Charitable Trust Portfolio. Want to be alerted before Cramer buys or sells AAPL or GOOGL? Learn more now. Samsungs already come with the capabilities. Speculation abounds that the iPhone 8 will literally cut the cord and adopt new wireless charging technology. Recent SEC filings by Apple suggest that the tech giant is exploring wireless charging, possibly manufactured by companies such as Energous (WATT - Get Report) , Qualcomm (QCOM - Get Report) or Broadcom (AVGO - Get Report) . 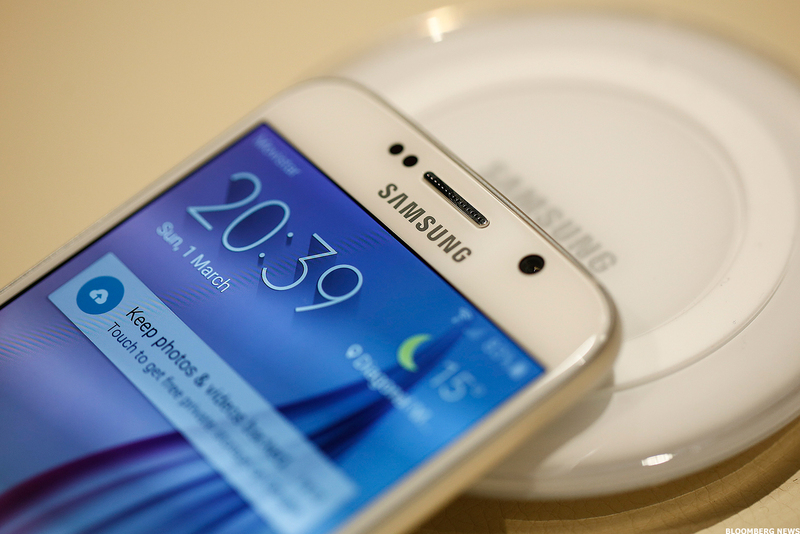 Similar wireless phones have already been released by Samsung, Sony (SNE - Get Report) and Google, but they require phones to be near a charging plate, according to Bloomberg. The expected iPhone technology, on the other hand, would allow iPhones to be charged from further away, transmitting broadcast waveforms to receivers and surrounding them with a radio frequency that charges devices. Alternatively, Apple may decide that the iPhone 8 will charge via a USB-C cable, getting rid of the Lightning charging cable used in previous models. Apple first introduced USB-C charging cables on its new MacBook Pro laptops last year. A change would therefore allow Apple customers to use the same charger for both its computers and phones. In order to make way for edge-to-edge OLED screens, the iPhone's hallmark home button would most likely have to be removed, replacing the touch ID with facial or retinal scanning technology. Touch ID would be removed to make room for a screen that's likely larger than that of the iPhone 7 Plus, which has a 5.5-inch screen, according to Bloomberg. Gesture controls would replace the home button, and features such as the earpiece, facial recognition sensor and selfie camera will be housed in a cutout at the top of the screen, Bloomberg reported. Apple is widely expected to introduce facial recognition technology, equipped with 3D sensing technology that can determine how far objects are. The result would be an improved selfie camera that could possibly be used in games, replacing the user's face with a character, among other uses. 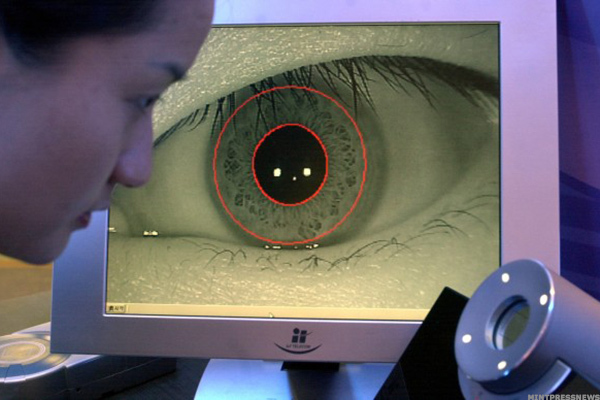 Apple may also include biometric screening features like facial or retinal scanning for authentication purposes. The features probably won't be ready until 2018 and Apple may not want to use retinal scanning, said Loup Ventures analyst Gene Munster, formerly a tech analyst at Piper Jaffray. Apple's most exciting update may be related to augmented reality technology. 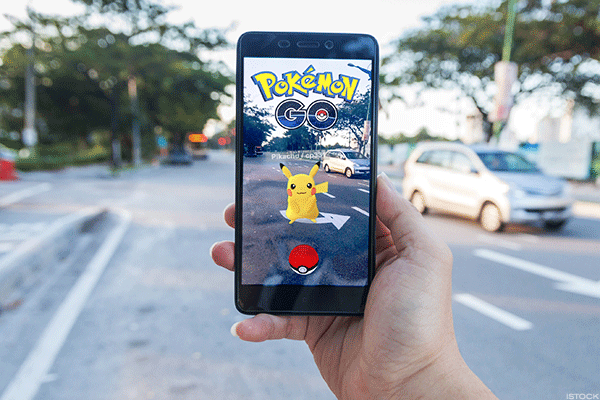 The iPhone 8 or iPhone 8 Plus will likely include a 3D mapping chip that could provide an on-screen AR experience that makes virtual objects appear like they're in the real world, similar to Pokemon Go's AR mode. Apple gave a major glimpse into its AR plans during its WWDC event earlier this year, where it debuted ARKit, its new augmented reality developer platform. Such a development would be a major win for Apple's App Store and could extend beyond gaming, Munster said. Google has its own AR platform, Tango, but so far it's been a "dud," Munster explained. With Apple's AR platform, Munster said users could potentially hold up their iPhone and translate a street sign on-screen, use the camera to bring up a person's social media profile, or walk into a grocery store and have the technology make diet recommendations and provide instructions on how to navigate a store, Munster said. A user could also hold up their iPhone to something being fixed or assembled, like furniture, and have instructions appear on their screen, he added. "Tim Cook has talked about AR and it's rare for Apple to talk about things they're not currently doing," Munster reasoned. Updated from August 28 with additional information about the iPhone 8's screen and body.